Do you suffer from bleeding gums? It may lead to gum disease. Oral probiotics may help heal gum disease naturally. Do your gums bleed when you brush your teeth? If they do, it’s a sign of immune imbalance. Oral probiotics may be a new frontier to cure bleeding gums and prevent gum disease. Bleeding gums (gingivitis) is the earliest stage of gum disease. It’s estimated that 50% of the US population has gum disease. Many more people have bleeding gums. Gum disease is a chronic condition that’s difficult to treat. It’s also linked to health problems such as heart disease and type II diabetes. In the early stages, bleeding gums are a sign of oral flora imbalance. Balancing your oral and your gut microbiomes may be the key to a cure. This can stop the immune imbalance that causes bleeding gums. Oral probiotics are known to have a positive effect on the gut and immune system. So can they may assist in healing gum disease? Let’s explore the potential of oral probiotics to heal gum disease. First, let’s discuss what causes your gums to bleed. Gum disease starts off as low-level inflammation in your body. This definition blames harmful microbes for gum disease. However, your oral flora is present in health as well. Gum disease is caused by oral imbalance, not simply a few ‘bad’ bacteria. Your oral ‘microbiome’ is the entire microbial environment of your mouth. It contains many thousands of microbes. A microbiome view of gum disease helps us consider if oral probiotics can combat your gum disease. Bleeding gums or gingivitis is the first sign of gum disease. But before your gums visibly bleed, inflammation begins. Your mouth isn’t an easy place to live. For oral bacteria, it’s a fight for survival. Chewing forces and a tide of saliva threaten to dislodge them. That’s why your oral flora needs to build little safe havens. We call those safe havens dental plaque. Dental plaque is really a home for a community of microbes. Ideally, they like to hide in the nooks and crannies of your mouth. The gingival sulcus (the small pocket between your gums and teeth) is ideal. A healthy oral flora is balanced and diverse. In a healthy mouth, many different microbes live in harmony. They need each other, so it’s a happy co-existence. It prevents the bad bugs from taking over. Your oral microbiota is also related to your immune system. When oral flora is diverse and balanced, your immune system doesn’t cause harm. This is because when your oral flora is balanced, so is your gut flora. And your gut microbiota speaks to your immune system too. Diverse, balanced microbes mean a tolerant and strong immune system. Bleeding gums show that your microbiota and immune relationship is imbalanced. If you add in long-term poor oral hygiene (most people don’t brush and floss right), bleeding gums can progress to gum disease. So, it’s obvious your oral and digestive flora need your support. This support comes from your diet and/or probiotics (oral probiotics and fermented foods). Stage 1: 0-4 Days. Pre-gingivitis – Not visible. Before you notice your gums bleeding, imbalances in your microbiome are occurring. 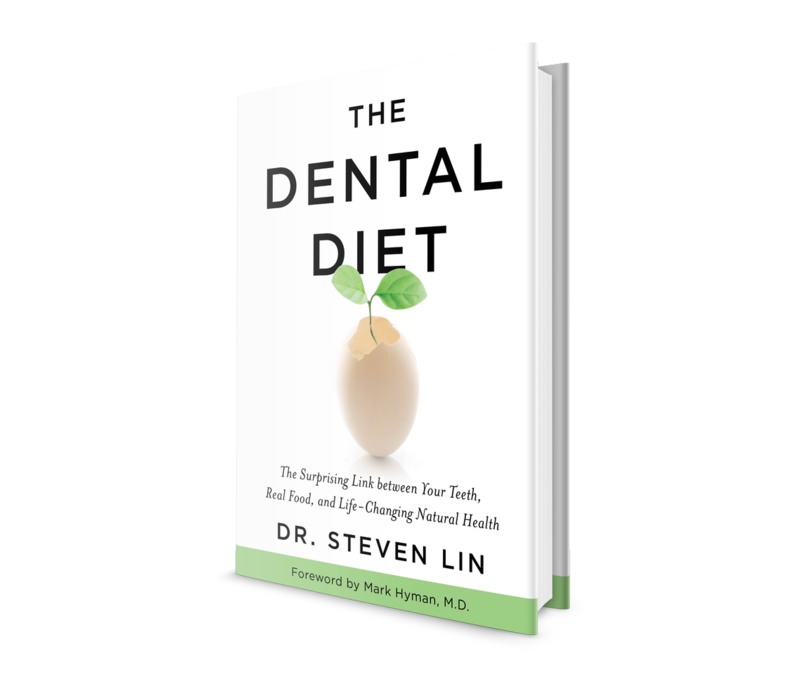 It only takes four days for the plaque (or biofilm) on your teeth to become imbalanced. There is an influx of harmful bacteria (strep spp). The body’s response is an inflammatory reaction. Blood flow increases, bringing white blood cells. There is also increased fluid flow into the gingival pocket. Stage 2: 7 Days. Gingivitis – Bleeding gums. Bleeding gums are a visible sign of inflammation. There is a further shift in the microbial populations. Between 6 to 12 days, the flow of fluid peaks in the pockets of your gum. This provides proteins that help harmful bacteria thrive. Oxygen levels decrease and the immune response becomes more targeted. Inflammation increases. Stage 3: 2 weeks to indefinite: Gum disease – Subgingival. If the imbalance continues, gum disease progresses. Inside the gum pocket, the loss of oxygen and probiotic species changes the environment. Certain bacteria (porphyromonas gingivalis), are known to move in. These bacteria thrive without oxygen (anaerobic) and cause gum disease. Your immune response now sends in antibody directed immune cells (called plasma cells). These create an inflammatory lesion in the gum pocket. Gum disease, stage three can last indefinitely without progressing. If it progresses, serious gum disease can cause bone and tooth loss. However, it also gives you a chance to intervene. Oral probiotics show promise in reversing the microbial imbalances that cause gum disease. What benefits do oral probiotics have for gum disease? How can they help? Competing for nutrients and resources. Releasing antimicrobial compounds. These inhibit disease-causing microbiota. They include organic acids, hydrogen peroxide (bleach) and low weight peptides. 2. Priming the oral immune response. Many probiotic bacteria can communicate with the immune response in the mouth. This is beneficial in gum disease to prevent chronic inflammation. Probiotics can reduce harmful immune response. They also make the immune system more efficient at removing bad bugs. Which Oral Probiotics Should I Take For My Gums? Certain oral probiotics will be more effective depending on your stage of gum disease. Oral probiotics may help you prevent bleeding gums. The early stages of gum disease start by bacterial imbalance. For gum disease to progress, harmful bugs need to populate the crevice. Two probiotic species, S. Salivarous K12 and M18, may prevent both oral flora imbalance and inflammatory response. They may also help your immune system protect your mouth. This probiotic helps prevent oral inflammation. These bacteria are thought to live on the tongue and monitor the mouth. They may also protect you from gum disease. They do this by releasing bacteriocin-like inhibitory substances(BLIS). These proteins stop the growth of harmful bugs. K12 also increases the tolerance of the oral immune system. It stimulates anti-inflammatory response. This helps prevent inflammation that results in gum disease. This probiotic bacteria release a type of BLIS peptide that breaks down dental plaque. About 2% of the global populace have the Streptococcus salivarius necessary to make M18 peptides. The presence of S. salivarius M18 makes a big difference to oral health. It substantially reduces plaque buildup, bleeding gums, and gum disease. 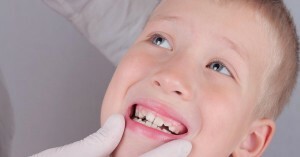 It also reduces the development of pockets between the roots of teeth and gums. A study that looked at M18 probiotic S. salivarius strain in the mouth showed its persistence was dose dependent. A consistent higher dose may be needed to gain full benefits. If your gums are bleeding, there’s already inflammation and bacterial imbalance in your mouth. These oral probiotics have benefits that may help your gingivitis. A common probiotic that lives in your gut. There is good evidence to show it reduces bleeding in more severe cases. 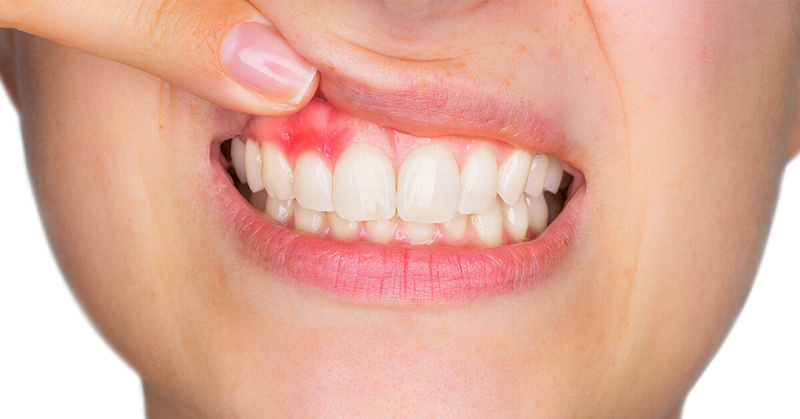 A large randomized control trial showed L. reuteri decreased gum bleeding and reduced gingivitis. This species normally lives in the digestive system. In the mouth, it releases lactic acid that helps inhibit the overgrowth of harmful bugs. This species seems to prevent acute diarrhea and reduce the risk of E. coli infections. When taken in tablets with L. acidophilus, it’s been shown to reduce bleeding gums in gingivitis. If you have chronic bleeding gums or bad breath, first step is to see your dentist. As we’ve seen, there is support for using probiotics in gum disease. But evidence for clinical periodontal outcomes is limited. There is some have is evidence supporting probiotic use alongside dental treatment. One large study showed oral probiotics can reduce bleeding on probing. It also showed a reduction in pocket depth. Together, these results suggest potential to resolve gum disease. Another benefit of probiotic use is a reduced need for antibiotics. They may also prevent the re-growth of disease-causing bacteria. This is a major issue in gum disease treatment. Oral probiotic lactobacilli strains boost the oral immune system. They also help to maintain the microflora balance. Their release of lactic acid kills harmful bacteria. Studies have found that people with chronic gum disease have fewer lactobacilli than those with healthy gums. One strain, L. gasseri, was detected more in the healthy group. The wide variety of lactobacilli species is thought to suppress oral pathogens. Used alongside root planing (an oral ‘deep clean’), this species may be helpful in gum disease. The oral probiotic actions of L. reuteri are effective in reducing deep pockets in gum disease. Gum disease-causing bacteria can produce nitrous oxide. In a small study, L.brevis produced enzymes that prevented nitrite/nitrate formation in patients with gum disease. This species seems to act by decreasing pro-inflammatory cytokines and boosting the immune system. This suggests it may be effective in assisting gum healing. Studies support the use of oral probiotics in gum disease. However, we need more studies to understand the roles of different strains. One future role of oral probiotics may be in replacement therapy. In this therapy, DNA modification technology replaces the harmful attributes of bugs. In future, we may be able to remove the disease-causing aspects of bacteria. Some studies suggest that we could clone certain species to make them non-disease causing. Bleeding gums are a sign that you’re at risk of long-term gum disease. Oral probiotics have proven benefits in fighting gum disease. Although more research is needed, they are supported for use against gum disease. Oral probiotic benefits aren’t restricted to the species below. However, these particular strains have proved effective against different stages of gum disease. Do you have a question about oral probiotics? Leave it in the comments section below. Do you have probiotic that you like to recommend? Wish we could come see you! Primal Gut by Corganics is great quality. They have both adult and kids versions. You may also want to try the BLIS oral probiotics system. I would focus on healing your gut to get your immune system back in check (also check your vitamin D). There is tons of misrepresented probiotics on the market since they are not regulated. I have read that probiotics for gut health that the pill or liquid needs to be in a glass jar and also refrigerated? Is this the same with oral/dental probiotics? I feel the more I look into these products there are none that are recommended to be refrigerated. I find this hard to trust if these products really do work? 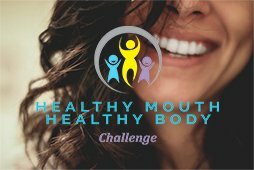 Whats your professional opinion on how to buy probiotics for the mouth. What are some key things I should look out for? 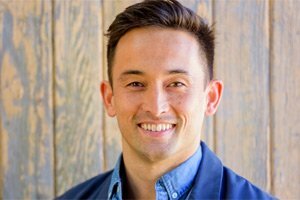 Hey Dr. Lin, I was diagnosed with periodontal gum disease. I also get occasional bad breath and bleeding gums and I know there is a connection with my gut as I have suffered from acid reflux for over a decade. I am seeing a functional doctor and over the last 6 months been following a weston a price diet. Are there any type of treatments you recommend? What oral probiotics do you recommend? For the bad breath issue, I would check for: 1) Vitamin d status. 2) IgG food intolerances 3) H.pylori infection. Here are some testing options for bad breath too. I’d suggest getting more information on your condition. Hi, are there any probiotics that help with burning mouth syndrome? I would also like to know if there are any probiotics that help with burning mouth syndrome. Thank you.